What is the first thing you do when you get back from grocery shopping or a hike? …. Yes, that’s right. You wash your hands and get all the microbes off, but before you do that next time, think about this; It may or may not come as a surprise to you that humans are 90% microbial. Not 9, or 10, but 90%!! Besides their abundance, they contain more genetic material than humans with over 100,000 genes. So technically you are more microbial than you are human. You may get rid of those washed off, but there is more in and around you. Researchers are starting to find that there is a strong interaction between the gut microbiome and the central nervous system. As a matter of fact, there is a characteristic microbial variation in individuals with a few mental health disorders. Researches have worked keenly to understand how exactly these microbial variations are able to influence our mental and general health. It is suggested that there is a gut-brain axis which influences this communication, and a very important nerve that aids in this gut-brain communication. Humans live in a co-evolutionary association with these commensal microorganisms which are present both internally (e.g gut) and externally. The gut microbiome plays part in directing and facilitating developmental processes in the brain with long term implications to health. The gut microbiome diversity: Activity and effects. Dysbiosis – a state of imbalance between the good and bad bacteria – is fundamental to understanding the effects our microbiome flora has on mental and general health. Perhaps the area of highest importance is understanding the diversity of microbiomes present in the gut, and in what relative amounts to each other do they need to be present in. Studies have shown that the activity of one microbe in the gut can influence the activity of another, the absence of a microbe can also be quite detrimental. The microbiome present in our gut have various important roles, for instance, they help synthesize vitamins and co-factors that we lack, a decrease in the number of microbes present in the gut also results in a decrease in short-chain fatty acids which is important for neurological function. Numerous studies conducted have all shown similar results with little to no difference on the effect of dysbiosis. 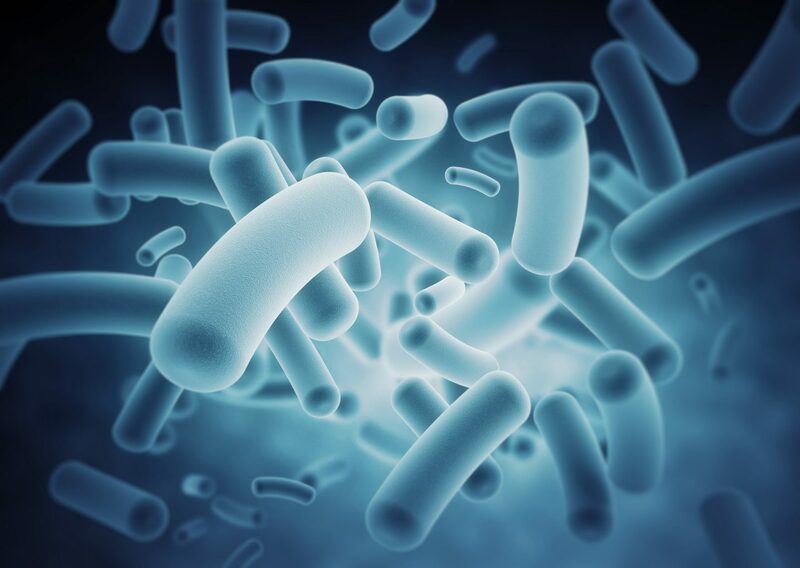 These effects are seen to be potential precursors to mental health disorders like Autistic spectrum disorder (ASD) and Schizophrenia , the gut microbiome has also shown to influence fear and anxiety. However, there is no substantial evidence that the gut microbiome influences Schizophrenia. What studies have shown in Autism. Studies have shown that our microbiome can modulate gastrointestinal physiology, immune function and behavior. The results of dysbiosis was shown using mice models. In an experiment carried out by a group of researchers, two groups of mice were used, mice delivered in a germ-free environment (by c-section), and mice delivered through the maternal vaginal canal. The vaginal canal is the first source of microbes we come in contact with when delivered. It was observed that the mice delivered in germ-free environment showed autistic behaviors. They expressed decreased sociability, while mice delivered naturally showed no sign of decreased sociability. However, if applied to humans, one thing is left out; children delivered through the vaginal canal that still develop autism and those given birth to through a c-section that do not develop it. Nevertheless, there are multiple mechanisms that come in play with the development of autism besides dysbiosis. These germ-free mice also had an exaggerated hypothalamic-pituitary axis with elevated corticosterone and adrenocotrophic hormone, both of which are present in stressful situations. This suggested that the microbiome present in our gut may determine how we are able to handle stressful situations. Germ-free mice showed abnormalities in brain gene-expression and neurophysiology, reiterating the effects on the nervous system. It is unclear how exactly the brain and the gut microbiome communicate, it seems nearly impossible that the simple bacteria’s in our gut can interact with such a complex organ, the brain. It is astonishing to think they can. Even more shocking is that they can function without the brain, and are in fact termed as our second brain. It is suggested that the brain and the gut microbiome are linked and communicate through the vagus nerve. Our brain is able to process information and send it to the gut microbiome, and the microbiome is also able to detect external stimuli and send to the brain. There seems to be a bidirectional communication between the gut microbiome and the nervous system through the vagus nerve and humoral component, including the immune system and the hypothalamus-pituitary adrenal axis. Our immune system is also at a loss in the event of a dysbiosis. Specific bacteria’s are required for proper immune function. Most individuals with a dysbiosis have a compromised immune system. Reversing the effect of dysbiosis?!!!! Following the observed behavioral difference between the germ and germ-free mice, the researches treated the germ-free mice with Lactobacillus Reuteri. This treatment reversed the decreased sociability in the germ-free mice, the mice started interacting more with other mice afterwards. This suggests the germ-free mice lacked Lactobacillus Reuteri, which may be the key bacteria in play with social behaviors. In individuals with a ASD, it has also been found that there is a high amount of Clostridium, however, its dominance does not fully explain its purpose. Furthermore, shocking discoveries have been made in mice treated with bacteria Toxoplasma Gondii . These mice were attracted to cats instead of being afraid of them. This suggests that fear and anxiety can be treated through manipulating our gut microbiome. The future of this discovery. The discovery on the effects of our microbiome community is a big feat in the medical field. However, there is much work to be done on understanding the mechanism by which these gut microbes influence mental health. It does not clearly show whether the presence of specific microbes are a cause or a side effect to these mental health conditions. Nevertheless, if found to be causative, it is a discovery that would positively affect the lives of millions around the world. The future outcomes of this medical research is bright and assuring. This work by Fatima U. Usman is licensed under a Creative Commons CC-BY=ND Attribution-NoDerivs 4.0 International License.